The New Horizons Vintage Jazz Band, which started in January 2011 with fourteen members, was created due to interest in having a second jazz band in the New Horizons program. 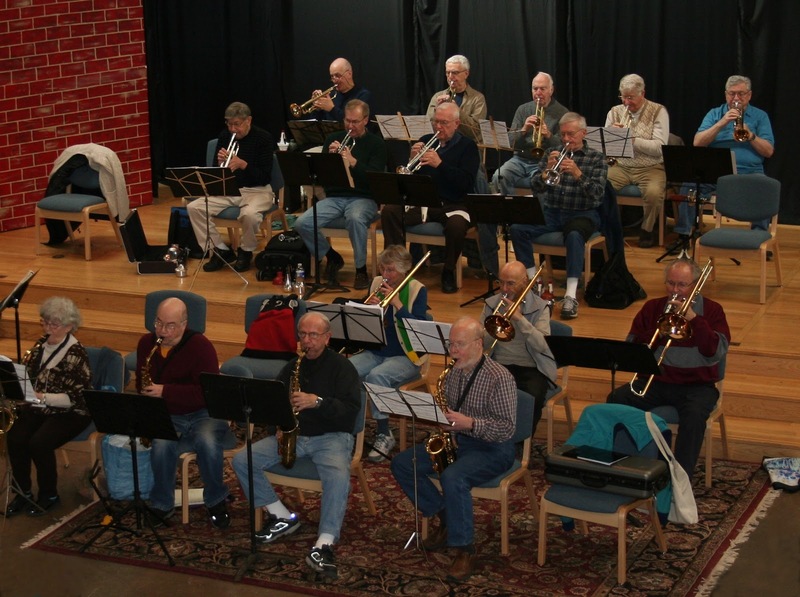 Currently twenty-six members strong, the band rehearses weekly, performing traditional big band music and contemporary arrangements of jazz standards at area senior living centers, community centers and schools. In June, this band will represent New Horizons on Jazz Street at the Xerox/Rochester International Jazz Festival. The New Horizons program, part of the Eastman Community Music School of the Eastman School of Music, was started by Roy Ernst twenty-two years ago in Rochester, and has grown to over three hundred chapters internationally. 0 Comments to "Williamson-Pultneyville Historical Society Benefit Concert"